Last Thursday the European Commission approved UK proposals for strengthened protections against the plant disease Xylella which has devastated olive plantations in Italy and killed thousands of trees as it spread across the continent. The disease is yet to arrive in the UK, but if it did arrive it would pose a threat to oak out trees and our horticulture sector and be very difficult to eradicate. This is why last month Environment Secretary Michael Gove wrote to the commission, asserting that if EU measures were not increased we would be forced to take our own national measures which could have included banning high risk plant imports from the EU. Xylella poses a serious threat to our plants, trees and horticulture sector and as I made clear to Commissioner Andriukaitis last month, we need to see robust action by the EU against the disease. I am therefore pleased this has been taken forward. 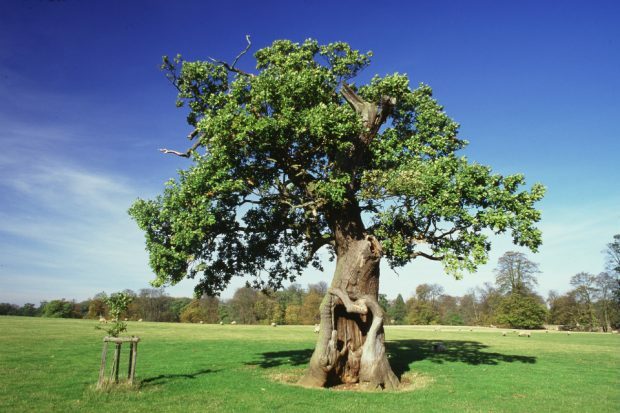 These increased protections will add to our own efforts to protect our horticulture sector and our famous ancient oaks which have stood tall and proud for centuries as a national symbol of strength and survival. While the measures we pressed for will come into force, we will keep the risk level under continuous review to determine if further measures are needed to keep the disease out of the UK. When we leave the EU we will have an opportunity to examine all our national biosecurity measures on plant imports to ensure they are as robust as possible and we are doing everything we can to protect the UK against diseases like Xylella. Over the weekend Environment Agency teams were out across parts of the west and south coasts as Storm Brian hit. Staff were operating tidal gates, inspecting defences and supporting at-risk communities. Some local minor river or surface water flooding took place. Temporary flood barriers were up in Fowey in Cornwall and their installation featured on TV and online news stories including The Mail, The Express, Sun and various local papers. On social media the EA issued several warning and informing social media posts. They included warnings against ‘storm selfies’, driving through flood water as well as our preparation work putting up temporary barriers. These warnings were also featured within various media outlets. The flood statement is now green. However, the EA will continue to monitor the forecast closely and operational teams will maintain their presence to check defences and close tidal gates as the high tides go through. There has been coverage this weekend of the possibility that breeders who knowingly produce animals with genetic defects could be liable for prosecution under the Animal Welfare Act (The Sunday Times, ‘Crackdown on ‘designer pet’ breeders’). The UK has some of the highest animal welfare standards in the world and the government shares the public’s high regard for the health and well-being of all animals - in particular our pets. We have already announced tougher controls on dog breeding to better protect thousands of puppies and we are working closely with local authorities and vets to look at how we can crack down on unethical breeders. Great news about cracking down on breeders who breed for genetic defects under welfare act.. this surely will apply to many pedigree dogs, cats and other species who suffer from breeding for 'aesthetics' and thus breeders breeding for 'the look'. I look forward to seeing this a force for the good for animal and human welfare as animals are not ill, heat/exercise stressed etc, and thus the average owner can enjoy a healthy pet, and the animal enjoy a healthy life. For those interested in genetic problems affecting pet breeds, the Universities Federation for Animal Welfare (ufaw) has a lot of information on its website. This would be a useful resource for DEFRA to direct the public to.